Is a Dirty HVAC Air Filter Really a Big Deal? How closely do you pay attention to your home’s indoor air quality? You should know that it may actually be worse than that of the outdoors. Many homeowners see the term “indoor air quality” and think about the temperature of their home, and maybe even the humidity level. This is, of course, important, but not the only indoor air quality issues you should be considering. For instance, many people ignore their allergy symptoms and just chalk it up to the time of the year or a dusty home—this may be the case, but have you ever thought about where that dust is coming from? Your air ducts actually accumulate a lot of dust, grime, dirt, and allergens over the years, since they are responsible for distributing all the conditioned air throughout your home. The good news is, we have the duct services in West Palm Beach, FL to help! It may be that you need a routine duct cleaning, or you could even have unknown duct sealing or repair needs. When you contact our team, we can accurately pinpoint the exact problem and make recommendations from there. Do You Have Low Indoor Air Quality? 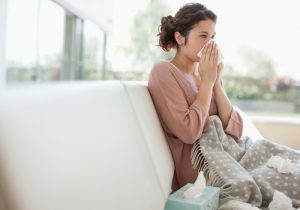 Increased Allergy Symptoms: Don’t write off your allergy symptoms as something that “just happens.” Sure, you may have indoor allergies, but what are you actually allergic to? It could be dust, pollen, or even mold spores. These are all particles that may be living in your ductwork. Hot and Cold Spots: Have you noticed that some parts of your home stay warm and stuffy all day no matter how low you turn the thermostat or how long you keep your air conditioner on? This may be due to damaged ductwork allowing conditioned air to escape. Not only is this impacting your comfort, but it also means you are paying for conditioned air that you’re not even enjoying. Excessive Dust: All homes get dusty, that’s just a matter of fact. But if yours seems to be excessively dusty lately, it may be that there is such a buildup within your ductwork that even the conditioned, “clean” air entering your home is also bringing dust in with it. There are many things that can impact the condition of your ductwork. It may be that poor installation right from the beginning caused connections to come loose, or tears to happen, meaning your ducts simply cannot work as efficiently as they are meant to, nor can they do much for your indoor air quality. On the latter point, dirty ducts can mean ductwork afflicted by anything from pollutants from cleaning products and pet dander, to dust mites, mold, and mildew. You should certainly give our pros a call so we can determine your needs. We do specialize in mold and mildew remediation so if that’s your problem, we’re the team to call. But in general, scheduling duct cleaning every few years is definitely recommended. Doing so will help your air conditioner perform more effectively and efficiently, improve your home’s comfort, and improve your air quality to keep you and your family healthy. Contact Envirotech Air Quality Services for quality ductwork services and more.